PlayStation 4 version now available for $9.99. Following trophy leaks this morning, Sony officially announced Entwined, the first game from its new Pixel Opus indie studio, for PlayStation 4, PlayStation 3, and PS Vita during its E3 media briefing. 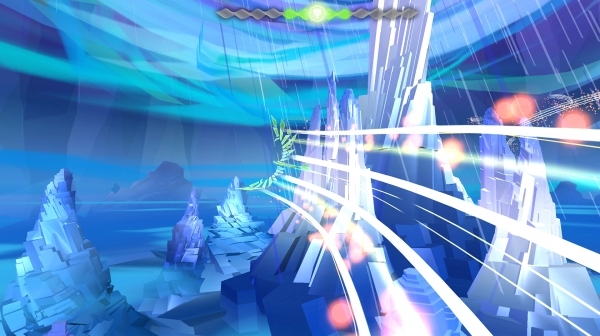 Entwined is a game about two souls who are in love but can’t be together. It tasks players with guiding two characters at once, one with each analog stick, to bring them characters together over the course of many lifetimes. And the moment they’re brought together, they’ll turn into a soaring dragon. The game is available right now on the PlayStation 4 PlayStation Store for $9.99. The PlayStation 3 and PS Vita versions will follow, and are cross-buy with the PlayStation 4 version. Watch a trailer and some gameplay below. View some screenshots at the gallery.